Thought this was interesting article....they discuss charts for American, Canadian, English, French, Hong Kong, China, Israeli, Indian, Swiss, Singaporean, Australian, Korean, Indonesian, Hungarian, Finnish, Bulgarian, Norwegian, Danish, Turkish, Spanish, Polish, Swedish, and Dutch. 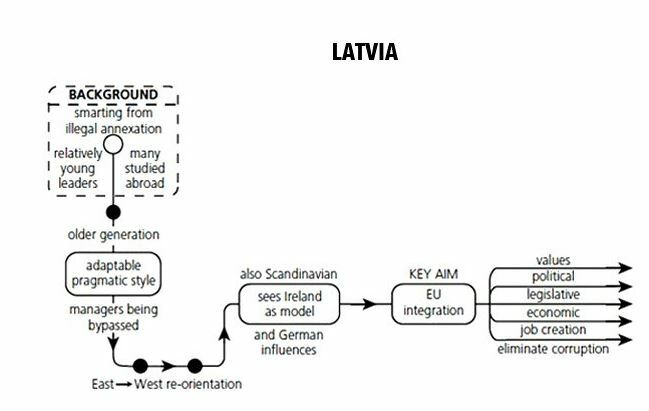 I thought the Finnish one was funny..."minimal speech" to start off with..lol....then miscomprehension...then summarize....lol...A short excerpt and chart(s). When meeting with Americans, you should be prepared for them to get right down to business, get upset when there's a disagreement, and expect one or both sides to make concessions. Last edited by JL; 03-28-2014 at 08:15 PM..
Lol does anyone take this seriously? This guy knows how to create fancy looking diagrams. Apparently companies like BMW and Unilever do....if you thought you had seen every diagram out there as a kid or in life.....think again! !....lol...here are some leadership styles diagrams...lol....btw, the author supposedly speaks 10 languages. There are millions of naive business and managers around the world eager to spend their dollar on the latest offering by the business guru du jour. So Turkey is a secular republic founded by Ataturk but Islam is still influential? No ****, I only need to buy a newspaper to get that "privileged" information.